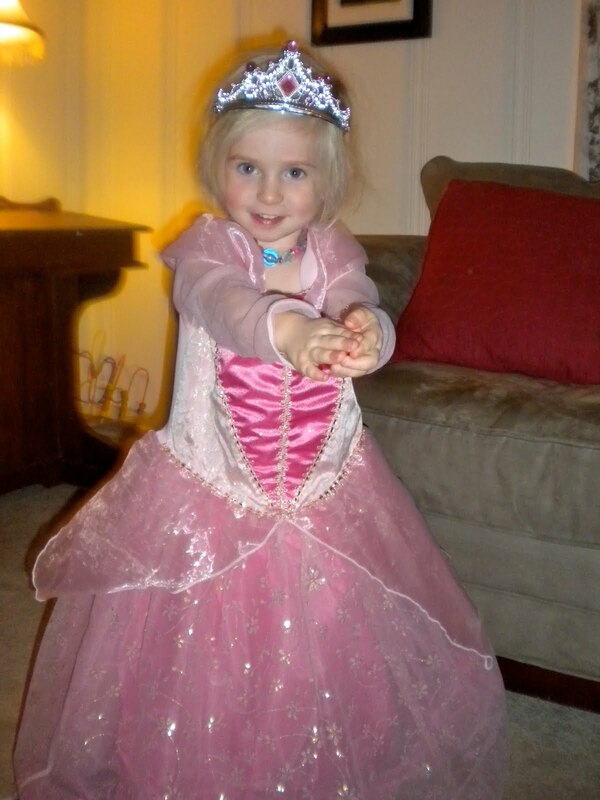 The other day Caroline said to me "Mommy, can I be a princess when I grow up?" Well, it appears as though she doesn't want to wait that long so here is Princess Caroline. Yesterday we went over to Hannah's house to play. 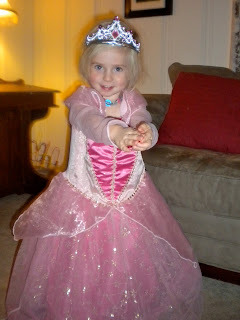 Hannah has a very extensive collection of dress up clothes and she was kind enough to let Caroline borrow this pink princess dress. Caroline put it on around noon, took it off last night around 9 to go to bed, and then asked for it first thing this morning. She is most definitely in a princess *phase* and wants to wear a princess dress every morning regardless of where we are going. Tucker didn't want to miss out on the action so he was allowed to wear the tiara. He really just wanted to put it on his head and run circles around Caroline in an attempt to make her mad. For some reason she was ok with him doing that...you never know with her! I do know, however, that she will most definitely be mad when it is time to give this beautiful pink princess dress back to Hannah.